dslr movie capture | hdhd!! 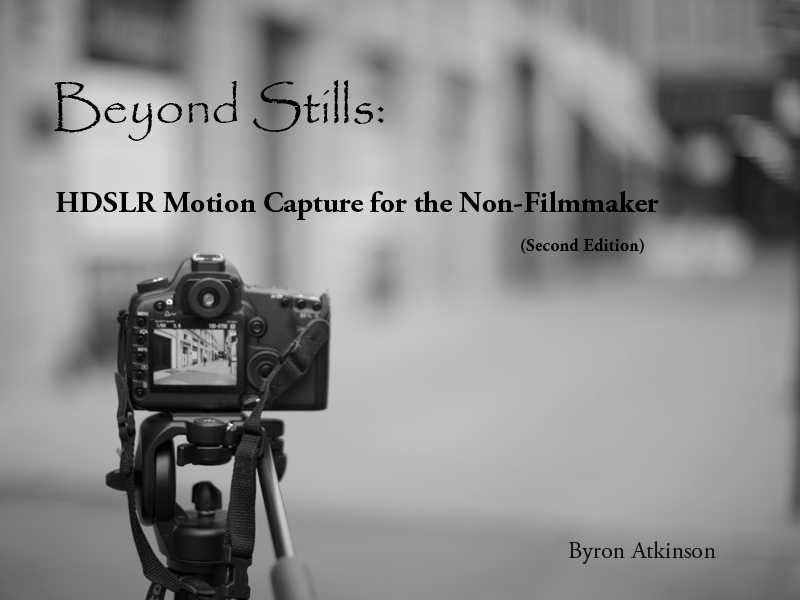 The revised and expanded second addition of the e-book Beyond Stills: HDSLR Motion Capture for the Non-Filmmaker is available at the Beyond Stills Web-site and is also now available at the iBooks for direct download to iPhone and iPad. The second edition includes a more general discussion of HDSLR and interchangeable lens – mirror-less camera settings and operations regardless of brand, as well as discussion of the including menus, movie settings, and operations of Canon and Nikon HDSLRs including the Canon 60D, the Nikon D7000 and the D3100. The First section of the book focuses on the Camera – operations and settings; Part 2 of the book focuses on accessories to help facilitate motion capture; and the third section focuses on motion capture techniques. The book includes exercises which will better allow you to understand how your camera will behave under different shooting conditions. Additionally, the Interactive Resource Guide, which allows readers to access product and other information from manufacturers and was originally a separate publication, has been incorporated into the e-book. To watch a video preview of the book, click here.